This website is an avenue for clubs registered with the American Vaulting Association to register for competitions online. The hosts of a competition will e-mail participating clubs with a link to this website and a password to register. If you have any questions, contact the host of the competition, not the AVA National Office. This program has been authorized for club registrations, for AVA Recognized Competitions, by the AVA Board of Directors. It is not owned or maintained by the American Vaulting Association, but is provided by a volunteer programmer at no cost to the AVA. Fest Managers wanting to use CompWeb to help manage a fest need to email Russ Hobby <Russ.Hobby@hobbyfamily.org> with competition name and date. These files may take a few minutes to download depending on your connection speed. Adobe Reader can be downloaded for free if you need help opening the pdf files. 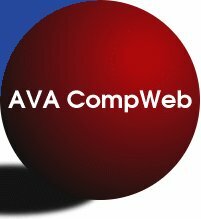 There have been some changes to the AVA Rules and CompWeb since last year. If you are an event manager using CompWeb here are things of which you should know. A new class has been added, the Individual 3* class. The 3* class will consist of Compulsories, Tech Test, and Freestyle sections. Vaulters must qualify for this class and it is competition managements responsibility to verify for each competitor. See AVA Rulebook Article 103.2 for specifics. Gold class will now consist of Compulsories and two Freestyles sections. Silver sections will consist of Compulsories, Freestyle, and compulsories to the right (no second freestyle). Bronze through the Individual 3* are now one round. Event managers may still want to do a cut before the final section in Bronze through Individual 3* classes. CompWeb has a new Section Combination Report that will provide an average of the first two section, similar to the old Round Report. The Section Combination Report should be used to determine the cut selection, not the former Round Report. Please note, Junior classes still have a second option round and will use the Round Report. A list of all Standard Classes with the changes above can be found Here. In support of the new rules some improved reports have been created. There are now reports for the 2-3 Judges, Combination/Round, and Overall. The new reports will work with all classes and number of judges. The "Set files to use with Class and Section" page will guide you in the selection of these reports. Currently these reports will be used only for Bronze through individual 3*. However over time they should be available for all classes. The new reports also the use of any Section Letter (A,B,C,D,E). You will find that the three section classes mentioned above use sections A, B and C.
For event managers that use Offered Classes saved from a previous event be sure to edit the class to have them conform to the Standard Class definition. An issue that came up last year was the use of temporary AVA numbers. Event managers often use “T” and two digits (e.g. T12) for vaulters who have not yet registered with the AVA. However there are valid AVA members with some of these numbers. Use of a temporary T## number format can cause confusion. It is suggested that for temporary AVA numbers “T” followed by a dash and two digits (e.g. T-12) be used. This will not conflict with any existing AVA numbers. Under the “Invited Clubs” section the email invitation section has been redone. Emails now use the compweb@americanvaulting.org account for sending. Reply-to is set to the person doing the sending so that replys to the message should work correctly. There is also an option to send general messages to the invited clubs that can be used for updates and reminders. Competitions available for online registration at this time are listed below. Please select your event and log in. Contact your Regional Supervisor or the Fest Manager if you have any questions concerning online registration. Visit the American Vaulting Association website for contact information.